The Dark Knight Rises seems to have the story we think it does. OR DOES IT? For anyone still skeptical that The Dark Knight Rises will feature a dark and unpleasant reunion with the Al’Ghul family, let this be the final confirmation. Or not. Christopher Nolan could be spinning an incredibly intricate web of Internet lies. But that seems like a lot of … wait, he wrote Inception. A fake Batman script would probably take him an hour. Anyway, I digress. 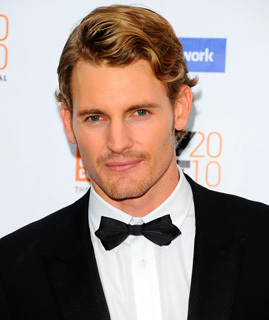 Heat Vision reports that Josh Pence has signed on to play a young Ra’s Al Ghul in Rises. His scenes are said to primarily be in flashback. Heat Vision notes that Warner Bros never confirmed whether Marion Cotillard was playing Talia or not, but that Pearce’s casting may be an unspoken confirmation of all those fervent rumors. Or this could simply be a script within a script. It’s a nice bit of actor affirmation for Pence, who was technically in The Social Network, but only as a Winklevoss body that was later given Armie Hammer’s face. From one of the biggest movies of the fall to one of the biggest of next summer. Not bad. Unless they photoshop Liam Neeson’s face over his.